#TVisCOOL: The Black Mambas: All Female Anti-Poaching Unit Protecting Rhinos In South Africa! The Black Mambas: All Female Anti-Poaching Unit Protecting Rhinos In South Africa! 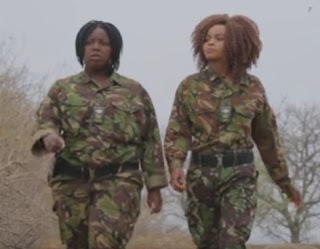 The Black Mamba Anti-Poaching Unit (Black Mamba APU) is a mostly female ranger unit founded with the purpose of protecting wildlife in South Africa. They are on the front-line protecting dwindling numbers of rhino. The Greater Kruger Park is home to largest population of rhino in the world and has become the epicenter of the current rhino poaching crisis. David Coffin - "Roll the Old Chariot"
4 and a half hours of Looney Tunes cartoons!